As recognition for their growing success, Vicetone have scored the Ultra Music Festival official after-movie soundtrack. Their single entitled ‘United We Dance’ acts as the musical backdrop to UMF’s 15-minute short film and is set for release as a club edit on 3 November via Ultra Music. 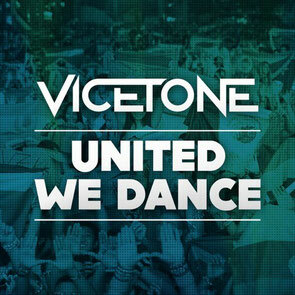 Vicetone: “Writing and producing the score for the Ultra 2014 aftermovie has been an incredible experience for us. We always wanted to score a project like this, and have the freedom to incorporate our own style of dance music with contemporary orchestral elements to create a unique piece. It has been the most ambitious project we've ever done in our career and we spent months getting it perfect. We're very happy and proud of the result. Climbing the DJ ranks as a direct result of their hard studio work, productions, and high-energy performances, the Dutch duo have achieved a #36 position on the DJ Mag Top 100 polls jumping 24 spots from their 2013 ranking of #60. Vicetone: “It's an honour to know that all our fans appreciate the music that we are putting out and are taking the time to vote for us as their favourite artist. It means the world to us and we're so grateful for all the support we're getting - without our fans we couldn't do what we're doing right now.